2013, Composer, Programmer, Sound designer. 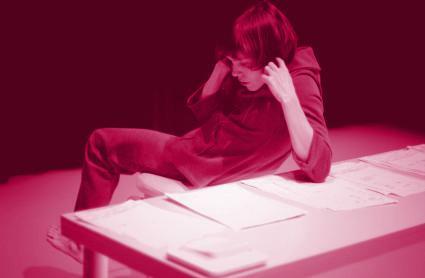 A dance solo by Charlotta Ruth, about communication, multitasking and being at many places at the same time. The music has a distinctive fairytale flavour, contrasting epic movie scoring with stubborn electronic bleeps. Along with the performance comes a sound installation, with speaker objects and repurposed mobile phones. The phones are programmed to sound like birds, and can be controlled over network from the computer running the show. Public Eremite had its premier at Tanzquartier, Vienna, in 2013, and a reworked version played at Dansens hus, Stockholm in 2014.